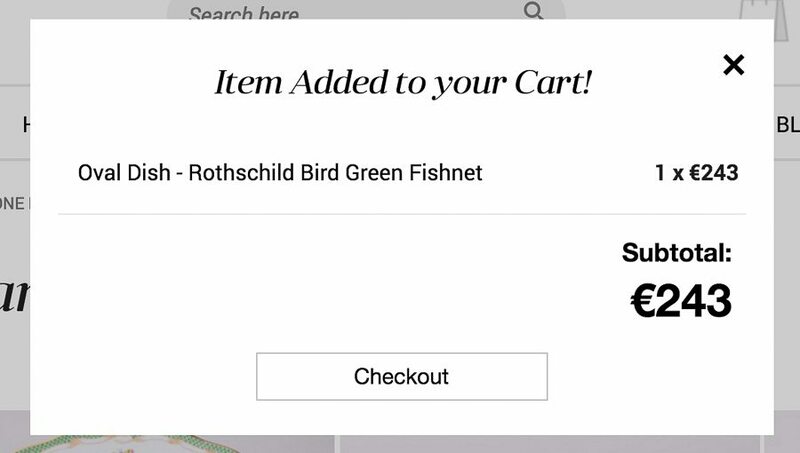 If you selected the product you would like to purchase, Select “add to card”. You will be offered to pay via Direct Bank Transfer, or using PayPal, Visa, Mastercard, Maestro or American Express. Afterwards you need to accept the Terms and Conditions. Now proceed to “Place an order”. 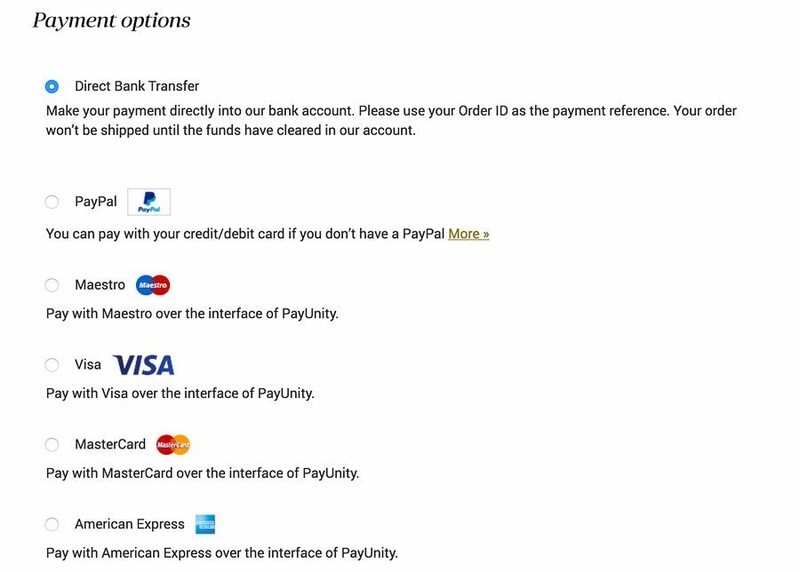 Depending on the payment method you selected, you will arrive to a simple card detail request page. After this you will receive our automatic confirmation email. Soon we will contact you to make sure the order is all right, and you will get the Herend items you really desired. If you ordered a more complex set with modifications (for example an extra cup, and less dessert plates) we send you a personal offer via e-mail. If this is the set you would like to have, we send you a PayPal invoice, which you can pay also with your PayPal account, or with your “Master Card, VISA, AmEx, or Discover” bank card. We also accept Direct Bank Transfer in this case as well. Which price applies to me? The prices on the website are net euro prices (without VAT) for any dear customer all over the World who would like to purchase Herend porcelain except from the European Union. If the individual order is from a country which is member of the European Union, VAT (value-added-tax) is have to be paid. In Austria, the value of this tax is 20% now. In case of order from a European Union country which is requested by a company the net euro prices (without VAT) are valid. Are we official Herend Shop? You can check the website of the Herend Porcelain Manufactory www.herend.com where one of our sites and our company is listed as partners in Austria – Europe. You can find there our other website www.herend.at – Herend Austria. Is shipping always safe and sound? Absolutely YES! We pay extra attention to use special secure wrapping materials. We use the two box-system. All the boxes are three layered shock reducing heat-isolation boxes. The bigger porcelain pieces are fixed with a form keeping foam. Just like water uses the form of the cup, this foam keeps the form of the box and the porcelain. The packing is only done by the professional colleagues of Herend manufactory. And as an extra security, all the Herend porcelain packages of Herend Experts are insured by the Lloyd’s London All-Risk-Insurance through the Barhta and Partner Global Fine Art Risk Management. This means practically, that we resend your porcelain in case of damage for free. For more information on Transport, Security, Packing visit our “Shiping” page. Is it sure I will get the exact porcelain I ordered? During every order, we fill out an Order form, this is key to be sure that our customers get the porcelains they ordered. I cannot decide which porcelain to buy. Do you help me? Of course we help you to compose your Herend Set if you want. We have detailed photos of many Herend Decors, to get the feeling how these items do look like one next to another. If you decided wich decor you like,(for example: the VICTORIA decor – Dinner set) you can ask us to send you detailed image of all the components of the set you want! So there will be no surprise when the package arrives. If there are different types of the same item (Same decor but painted with different figures) we send all the alternatives. How do I know that my porcelain is shipped? At the beginning of the shipping we send all the important data of the package, like waybill, estimated time of arrival, etc. We always watch over the route of the packages, and ask for feedback about it’s arrival. As soon as a new shipment status update is available, we inform our customers via e-mail or SMS. The royal family uses Herend porcelain. But which type do they use? They use VICTORIA, EVICT1 and EVICT2 forms. For more info, Check out the Herend Decors page, and select the “Royal Family Design” box. You will see all the Herend Products used by the Royal family. Is my Herend porcelain dishwasher safe? All the Herend porcelains you bought in our shop can be cleaned in dishwasher. it is advised to use a low temperature program, or ECO porgram. What kind of Herend porcelains can I buy at Herend Experts? As we are an official Herend Shop, you can buy all the Herend Product range! Just ask for it! Repelcement of Herend porcelain items? Is it possible? We have Life long replacement warranty to all the Herend products you bought in our shop! For customers buying a set for 6 persons, there is an additional replacement offer. For further details, contact us!